The other day, I happened to be browsing around online, when I am across an interesting ad for a flask and corkscrew. I clicked the link, and what would come up but a flask and corkscrew. The flask, is interesting enough, but the corkscrew, is definitely worth the asking price. However, I wasn’t sure if the flask and the corkscrew (for $ 50) were priced as a pair, or if the flask was being priced separately, and the corkscrew would have an all together different price. I emailed the seller to verify price, and share my interest. I explained that I appreciated his willingness to separate the two, and I would gladly send him the cash, check, money order, paypal, or any other way he wanted payment sent, and I would pay for shipping as well. I have a feeling, one (if not several) of the CCCCers or ICCAers will definitely want to add the corkscrew to their collection. Of course, by the time the corkscrew makes it to Dearborn, the price might go up a bit. It has been a fairly slow week in the world of corkscrewing around, at least here on the island. And, while the focus is definitely on corkscrews–specifically the upcoming ICCA AGM–there hasn’t been a whole lot of corkscrews acquired recently. That will be changing shortly however, as a deal was struck yesterday for a simple, but pretty cool corkscrew. Marked Williamson across the wires, it is a Clough with blade and brush. Definitely a cool corkscrew to add to the collection. I have a Clough with a brush, but this will be a welcome addition given it has the blade as well. Across the pond, Peter’s BIN contest is slow going. Not only in the apparent lack of Bins, but also in the lack of Bin reporting on Peter’s part. I am wondering if he is waiting until he has procured a few of his own before updating his contest/blog. Or, perhaps he is off playing music with Adele, or trying to get his old band “Suspicious Hummus” back together. Either way, clearly he has his priorities a little mixed up. WIth the trophy just ripe for the taking, it seems those who are involved in Peter’s BIN contest are getting increasingly creative with hope of procuring both corkscrews, and the 2012 Binner’s title. Ideally, one would read from the bottom up, as that would have been the order in which the questions were asked. Of course, my favorite part of reading the exchanges is the seller, Brian, seems to get quite a kick out of the attempts to BIN the corkscrew, and is a good sport about it. Of course, no BIN was achieved, and the corkscrew remains online. Still, you have to admire the attempt. 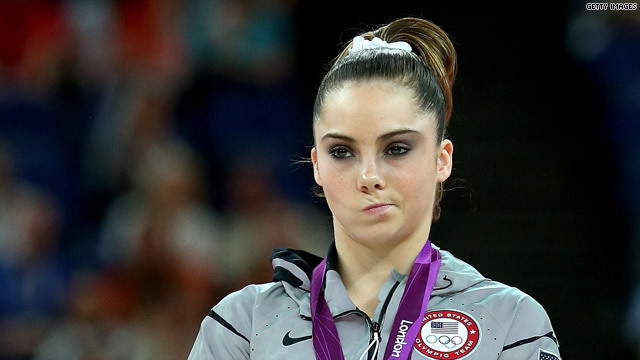 Or maybe not… it seems that Mckayla Maroney isn’t impressed. Over the last couple of years, Peter had been running a contest to see who could acquire the most corkscrews via the “BIN” on eBay. Said corkscrew needs to be purchased through the Buy it Now option, must be worth at least 50 U.S. dollars, and has to be Binned for lower than half the assumed value of the corkscrew. And, in the past, it would seem that there were plenty of “Bins” to be had, but as of late, while there are Bins, they don’t quite match up with Peter’s contest criteria. We are 18 days into the contest, with little reporting of corkscrews acquired through the process. Will things heat up in the coming weeks? Who will be the winner-binner to take home the trophy this year? Just on a lark, I decided to see what purchases some of the usual suspects have been making as of late on eBay. 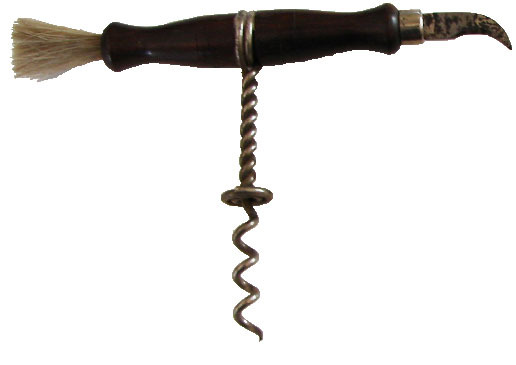 So…without cheating and actually checking past sales and purchases, can you match the corkscrewteer to the item purchased below? Tommy, Robert, Peter, Gav, Webby, Chris, Mark, or Josef…. While the corkscrew acquisitions have been sparse as of late, in just a few weeks, the corkscrew gods will be shining on Dearborn Michigan and Chicago, Illinois, as starting September 7th the CCCC Meeting begins in Dearborn followed by the ICCA AGM in Chicago. At every meeting you see unbelievable corkscrews. 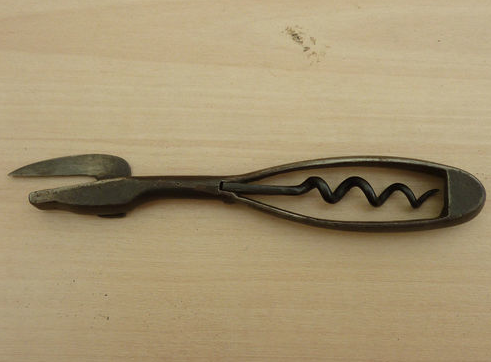 Trades, deals, sales, auctions… The amount of corkscrews that changes hands is remarkable. And, while corkscrews is definitely the focus of, well, corkscrew meetings, they are always a great time to catch up with old friends–and possibly meet a few new ones. If you have never been to one, it is definitely worth attending! Of course, in anticipation of the buying, selling, trading, and auctioning, I need to figure out what I should bring with me. I mean, I know that I will be sending a box of corkscrews to Barry for a display, and I sent others to John Morris for a presentation he is doing, and I will be toting a few corkscrews along for a display in Chicago, but what should be put on the auction block, what should be kept in my pocket in anticipation of a rare corkscrew that might be available for trade, and what few (or several dozen) corkscrews should I place out on the table during the, always eventful, buy and sell. Perhaps I need a bigger suitcase. It seems like there is little to report for the last few days. Nothing found, nothing binned, nothing acquired. The corkscrew gods have apparently gone elsewhere for the time being. Of course, in a month from now the CCCC AGM begins in Dearborn, only to be followed by the ICCA AGM in Chicago. So, we know that things will be heating up as many of us will corkscrewing around in the midwest! On another corkscrew note, it is incredibly silent in the UK as well. Petey’s BIN contest is 7 days in, and we have yet to hear a peep regarding his annual contest. If a corkscrew suddenly turns up, I will report back here. 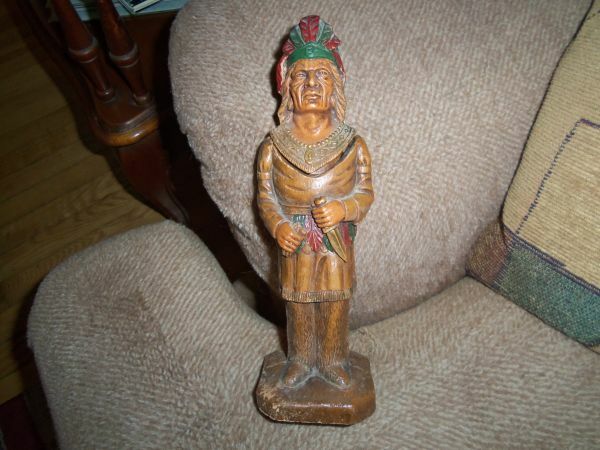 Perhaps one will this weekend at the Union Antiques show! Where there is usually, at least, one or three to be had. After 10 days away from the island, which included trips to LAX, Long Beach, Avila Beach, wine tasting in Edna Valley, a wedding in Paso, the acquisition of the Strait Patent in Arroyo Grande, flying into Chicago to venues for the upcoming ICCA AGM, a sinus infection, flying to Boston, and then picking up the puppy in Montague, MA, cocktails with Fraff in Marblehead, dinner at Hydeaway in Port Clyde, we are back home. Pictures of the new puppy soon! And, of any corkscrews that turn up!